Football still means so much to people. Money may have made the sport almost unrecognisable from previous eras but the bond betweens teams and supporters - especially where the World Cup is concerned - remains as strong as ever. Uruguay sunk Egypt in injury time yesterday after a header from Jose Gimenez and the reaction from this group of schoolkids sums up the magic of the competition. 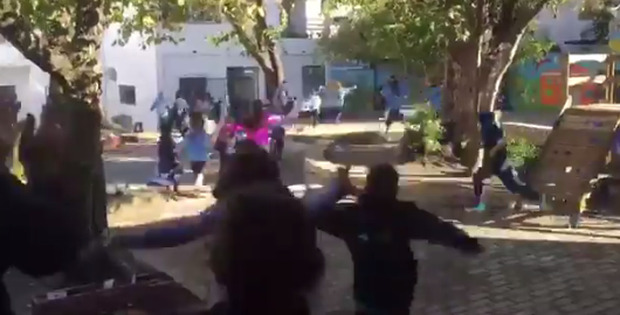 These little Uruguayans couldn't be confined to the classroom after the dramatic late goal, with their joyous celebration spilling out into the yard.